At Stonelow Junior School, our children come from many different backgrounds and families. 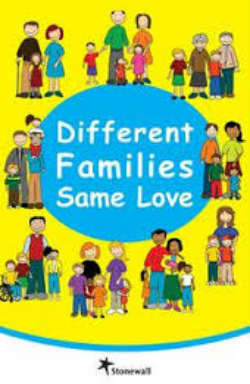 In school, we display posters and images celebrating difference and diversity. We do not assume all children come from the same family background. We use a variety of resources including picture books to explore the themes of difference. If you would like to find out more please contact Mrs Collins who will be pleased to share some of the books we read. We try to show how we promote diversity n our learning environment. Mrs Collins is our LGBTQ ambassador. Miss Robertson is a school representative on the Derbyshire Stonewall working group.